I love denim, so I thought I'd share some of my favourite pieces with you that I intend to wear this autumn and winter. What denim pieces will you be wearing this winter season? Ah, denim is amazing. 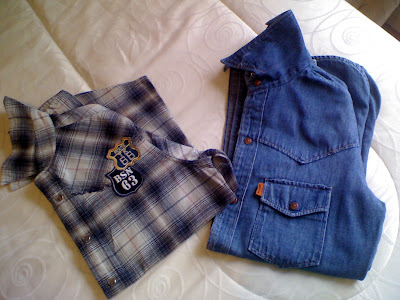 I wish I'd kept hold of the denim shirts my Dad gave to me years ago. They'd make amazing dresses.. Might be time to hit the charity shops. 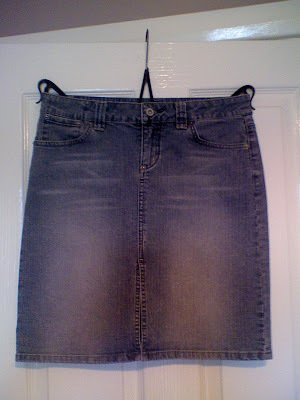 Love my denim skirt. I like to dress mine up with fab shoes and a dressy top. In winter I wear it with tights and boots. The versatility is the best thing about it I think. Oooh...that first piece is awesome. Very Rachel Zoe! Great collection of finds. The furry denim gilet is fab! I'll definitely wear my baggy Whyred denim shorts and my oversized Topshop denim shirt. Love your gilet with fur trim! Whoa, bella, that jacket with the fur lining is insane. Or wait, the JPG blazer? Divine! Super jealous of your obviously fabulous thrifting opportunities. Such cool pieces, love the first one. I'm not much of a denim person, but this fall I'm feeling like it. And you rock it, dear. I love your Jean Paul Gaultier!!! 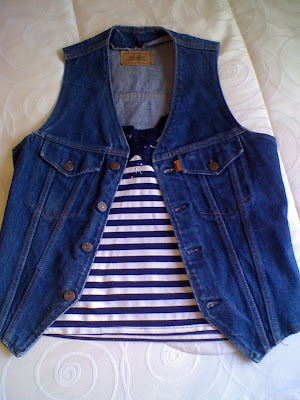 Oooh definitely my new vintage denim jacket! Love your topshop skirt btw. I'm dying for the Jean Paul Gaultier denim jacket! I'm hoping to be rocking my ancient Diesels. Ten more pounds. EEEK! Hi everyone-thanks for all your lovely comments, wishing you all a great weekend too! Cool to have these pieces. They always make the wardrobe stretch farther in the season. Thanks so much for the note. Denim is such a must-have this season! Hi there-thanks for all the fab comments, I've deleted a couple of comments as this space is not a free ad link back to companies!! Why just this morning I was lamenting on a denim dress I gave away 5 years ago. At the time it was too small, it would totally fit me today. Oh well, who knows, perhaps I will find it again in a thrift store. That would be lovely. Hi ladies-all so lovely, thanks a lot!! Haven't been on your blog for so long, missed it!! 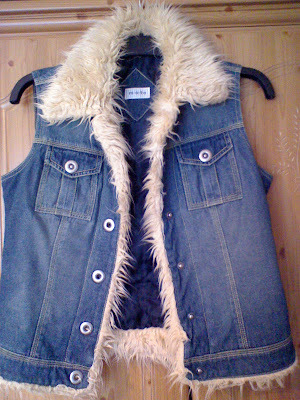 Love the denim fur trim gilet, amazing! Hi there-thanks for stopping by! I *HEART* denim. If I could I would cover the world in it! Cute finds. Hi Bonnie-I agree, denim is a fave of mine too!